First, though, you have to know a little more about the stages buyer’s go through on this journey of theirs. The realization of having a problem or need. Defining the problem and researching options to solve it. HubSpot uncovered where consumers are researching their options most. Spoiler: Google search, company websites & Amazon all influence buyers. Makes sense, right? But while theories are nice, real-world applications — now those make a more meaningful impression. 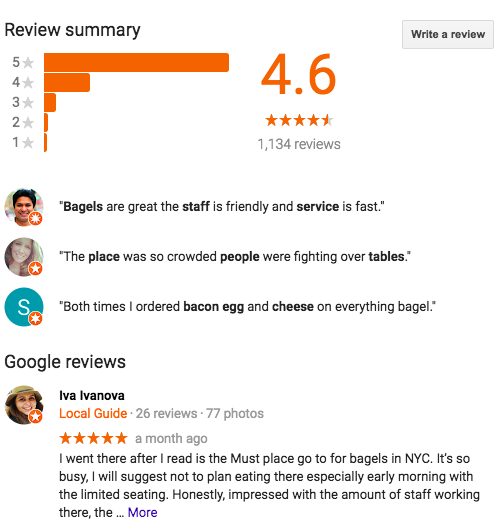 So, let’s take a look at my very own personal New York City Times Square Bagel Buyer’s Journey. During the Awareness stage, buyers identify their challenge or an opportunity they want to pursue. While in New York, I became aware that I wanted to get authentic New York bagels after eating genuine New York City pizza the night before. (Fun Fact: Bagels originated in the Jewish communities of Poland.) Encouraged by my wife and kids, my quest began. During the Consideration stage, buyers evaluate the different approaches or methods available to pursue the goal or solve their challenge. In the Decision stage, buyers have already decided on a solution. It came down to ratings and reviews. My decision was clear. 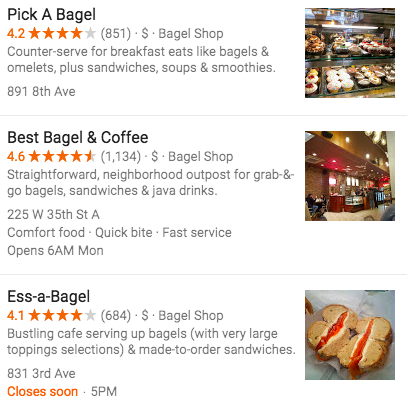 All three places had 4+ ratings but one stood out – ding, ding, ding, we have a winner: Best Bagel & Coffee! Did my journey from Awareness to Consideration through Decision pay off? You bet it did! I thought I knew a thing or two about bagels from my D&W bakery days, but I may never eat another locally made bagel again. I came to the conclusion that nothing beats the real thing. So, guess where I’ll be headed next time I go to New York? 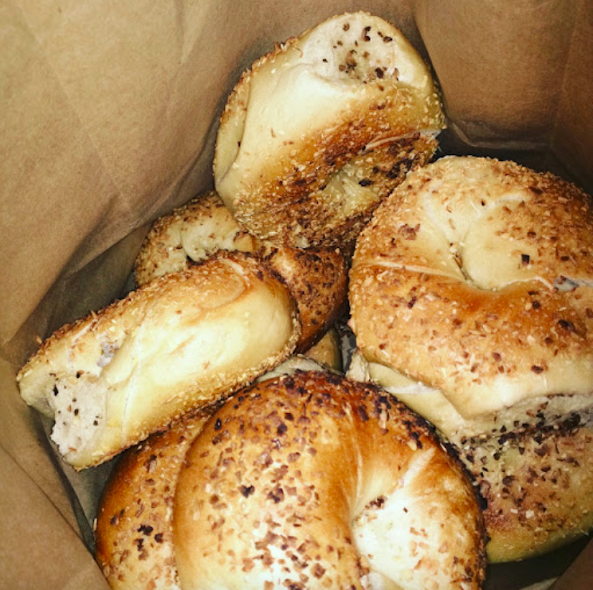 Congratulations Best Bagel & Coffee on the acquisition of a new customer! There you have it – a Real World NYC Buyer’s Journey. Incidentally, after enjoying my bagels, I headed to Central Park for a walk, then to the 9/11 Museum and Yankees game with my family, for a record-setting 27,000 step day. See, good things do happen when following a buyer’s journey — for the customer, and for you.